Boxing is full of big talkers. LeShawn “Lightning” Rodriguez (8-0, 7 KOs) isn’t one of them. 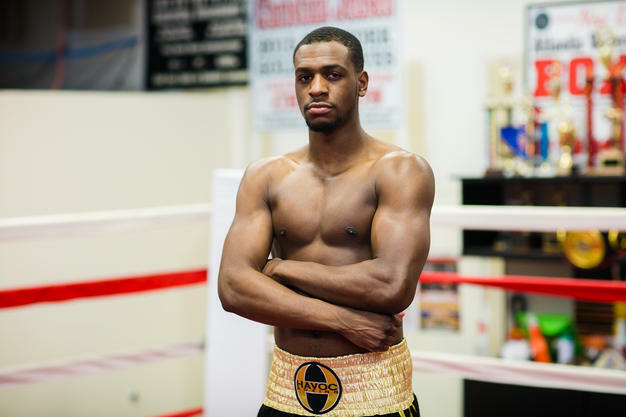 The 24-year-old undefeated middleweight prefers to deliver his big statements in the boxing ring and relishes the opportunity to entertain his fans at every bout. Rodriguez gets his next chance to entertain in his return to The Theater at Madison Square Garden on the non-televised undercard of Sergey Kovalev vs. Igor Mikhalkin and Dmitry Bivol vs. Sullivan Barrera on Saturday, March 3. Rodriguez hopes to extend his knockout streak to seven in a row against opponent Martez Jackson (4-1-2, 2 KOs) of Valdosta, Georgia. Rodriguez says he gets energy and motivation from his growing fan base, who’ve picked up on the buzz about him and like what they see. “The new fans, I’m getting a lot of support from them and congratulations on social media. ‘Great KO power’ and ‘You’re going to be a superstar.’ When people come to support me, I put on an even better show so they’ll come back again and watch again,” said Rodriguez. As a result, Rodriguez can be his toughest critic when assessing his efforts. Although his last bout ended in a third round TKO, he gave himself no more than a “B-plus … I could have done it a little sooner. I took my time … It’s true, I’m my biggest critic, honestly. I always want to be better than the last time. I work harder and I push myself. It’s a benefit, I think,” said Rodriguez. Rodriguez channels his competitive drive into everything he does outside the boxing ring as well as inside. He still shows up at his local fitness center and plays basketball, showing no mercy to his friends or any new players unfamiliar with the knockout artist who’s coming down the floor at them. If your competitive tastes run to video games like the popular “Call of Duty,” you better watch out for online player “PeakKnight123.” Yes, it’s Rodriguez, a big gamer who plays Xbox One games to relax. “Of course, I’m competitive in everything!” admits Rodriguez. Rodriguez says he hopes to be 13 or 14 and 0 by the end of 2018, with a title shot opportunity in 2019, all with an eye toward his knockout percentage.